Results are In for the Crafty Christmas Ideas Survey! The results are in! If you subscribe to our Craft Christmas Ideas newsletter then you may recall participating in a survey around May 19th. Here at AllFreeChristmasCrafts we’ve analyzed your answers to our questions about your habits and preferences when it comes to AllFreeChristmasCrafts and more. Enjoy these revelations about readers’ preferences; we hope you’ll find them both merry and informative. A staggering 98.8% of Crafty Christmas Ideas subscribers are women, the majority of whom are over the age of 50. We found that these newsletter subscribers tend to craft anywhere from once to a few times a week, with a combined 56.6% preferring to spend as long as an evening or weekend crafting. What does this tell us? You want projects that are short, sweet, and simple. Not surprisingly, readers reported that they craft primarily for their family members. Readers reported being most frustrated by the cost of crafting. This is consistent with 34.6% of survey takers who reported that they would like to see more gift ideas on AllFreeChristmasCrafts.com, since those ideas serve as inexpensive alternatives to department store merchandise. Predictably, 80.7% of our newsletter subscribers said that project pages were their favorite part of the AllFreechristmasCrafts site. When asked if they crocheted, knit, or sewed in addition to Christmas crafting, 76.2% of survey takers reported sewing, 65.7% crocheting, and 39.5% knitting as hobbies. 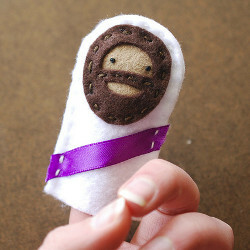 One of the most diverting responses from Crafty Christmas Ideas subscribers was their favorite Christmas icon. Interestingly, 27.0% of newsletter subscribers prefer snowmen, 25.5% angels, and 20.2% Jesus. If they couldn’t craft for Christmas? 31.1% said Easter, 32.1% Halloween. Other holidays of interests to traditionally Christmas crafters included Mother’s Day and patriotic holidays. Some of your answers made us laugh, thankfully none of them made us cry, but all of them helped us to determine how we can improve AllFreeChristmasCrafts and Crafty Christmas Ideas going forward. The results have given all of the AllFreeChristmasCrafts editors a better understanding of our readers, their crafting objectives and interaction with the online community. Subscribe to Crafty Christmas Ideas and see how we improve! What’s your favorite Christmas icon? Big Changes Ahead for Cool2Craft’s Newsletter! If you’re a subscriber to Cool2Craft‘s twice-weekly newsletter, you probably know that big changes are ahead. With every ending comes a new beginning, and we’re super excited for the future of Cool2Craft! Cool2Craft’s final newsletter will be published on September 11th. Devoted Cool2Craft readers, don’t get upset! Cool2Craft will continue to live on and blossom thanks to a new and exciting partnership. Starting September 14th, Cool2Craft will have an exclusive weekly column in FaveCrafts’ Quick and Crafty newsletter. Become a subscriber and reap the benefits! Every Friday, this brand new column will still feature your favorite Cool2Craft projects, videos and more. In every column, you’ll learn how to create unique crafts from cool and unusual materials. Past newsletters have focused on upcycling, jewelry making, polymer clay and more. Quick and Crafty publishes six days a week. That’s six chances to score the best craft tutorials, enter contests, download free eBooks and connect with crafters … every single week! If you love to craft, this newsletter is a must-read. Tutorials on FaveCrafts range from crochet to mixed media, so you’ll never get bored or lose your creative spark. Sign up for Quick and Crafty and who knows, you just might discover your new favorite craft. Don’t wait until it’s too late! Sign up for FaveCrafts’ Quick and Crafty newsletter now so you don’t miss a single Cool2Craft project. Get Crafty Business News Right in Your Inbox! Do you have your crafty business? Have you thought about turning your hobby into something that make you some pocket money or even more? Then you need to check out Creative Income Blog! 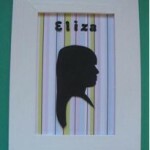 The site came from a section on FaveCrafts called Craft Business and even has it’s own free email newsletter! That’s right, you can get all the crafty business news and tips that you need to start or grow your own business sent right to your inbox, for free! You can catch great articles on blogging, craft fairs, pricing your work, using social media to your advantage, sales tips, and much, much more! With new articles added to the blog almost daily, it can be difficult to keep up. Let us make life easier for you by sending you a weekly newsletter with all the best articles on these themes. If you haven’t stopped by the blog yet, check it out! You’ll see that it’s a great resource for the business minded! We only collect and have articles written by people that have worked or are currently working in the industry and they know their stuff! This week’s issue went out this morning, but sign up today for next week’s issue and don’t miss another beat! Get Free Knitting Patterns In Your Inbox! Do you love free things? It’s okay to admit it; I love them too! What I especially love is finding free things for the hobbies that I enjoy the most – like knitting! Can I get an “Amen!” for free knitting patterns, anyone? While I definitely purchase my fair share of patterns, it’s nice to have access some free ones from time to time. After all, we knitters have a hard time not working on 20 projects at once; that could get expensive! Want to know how to get free knitting patterns six times a week right to your email? Just sign up to receive AllFreeKnitting’s free newsletter, Knit Picky Patterns! This week we’re covering so many exciting topics including free flirtatious patterns for Mother’s Day! Aside from tons of free patterns, we also feature new giveaways, Facebook updates and more! You’ll always be in the know about everything newsworthy on AllFreeKnitting! Never miss another contest, new pattern or tip ever again! Just sign up, for free, for our weekly newsletter: Knit Picky Patterns! Aside from featuring pink patterns for Mother’s Day (like the lovely freebies above), we also cover reader favorites! 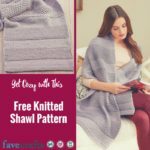 In one of our more recent newsletters called “16 Fabulous Summer Ponchos & Shawls“, readers were treated to 16 gorgeous shawls and ponchos – all fit for summer – and also got a close look at a few popular crochet patterns from our friends at AllFreeCrochet! Have I convinced you to sign up yet? If you love knitting and are craving some free inspiration, sign up to Knit Picky Patterns! You’ll get 6 issues every week that are packed full of awesome crafty goodies. 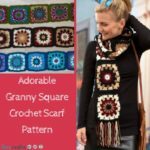 Knit Picky Patterns is completely free! Join our knitting community and discover all the fun you’ve been missing! If you’re already a loyal subscriber, please pass this info along to your other knitting friends. Subscribe to Knit Picky Patterns and receive your first issue within the next few days. 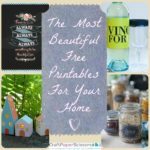 Before you know it, you’ll have so many free pattern inspiring you, you won’t know where to begin! Earlier today I asked a friend about her weekend. She attended a party I skipped out on due to other engagements. O.K., sweatpants, the couch and pistachio frozen yogurt just sounded better at the time! When she told me how much fun she had, how many interesting people she met and how much she enjoyed herself, I was instantly filled with regret. Well friends, I’m here to save you from missing the party! If you’re not subscribed to receive Sewing It Up newsletters, you’re the party pooper. In every issue our sewing community explores a new topic or theme. From home decor ideas to refashion projects, I provide a roundup full of sewing patterns. That’s right – a full list of FREE patterns right there waiting for you in your inbox. Just next week alone we’re exploring the top projects of the month, finding the perfect homemade Mother’s Day gifts and I’m rounding up rain gear to make now and swim gear to make soon! Not to mention, every issue features fun extras like special notes from some of our talented designer friends, Facebook updates and upcoming events. You’ll also never miss your chance to win another giveaway or any other important AllFreeSewing.com news. Sewing It Up serves as our platform to keep our readers up to date on all things sewing. In one of our more recent newsletters called “It’s Here! The All New Bags and Purses Issue“, not only did readers get a pile of new bag and purse patterns (like the ones you’ll see above), but I included a special bags collection where they could find even more ideas. Also featured that week, our Designer of the Week, a new video tutorial and some of our favorite Pinterest Picks. Are you starting to get that feeling of regret yet? Don’t worry! Sewing It Up is delivered almost everyday! Sundays we take a break, because even the strongest party-goer needs a rest now and then. Sewing It Up is completely free! I can’t let you miss out on this awesome opportunity to score the best sewing ideas out there. Join our sewing community and discover what you’ve been missing. If you’re already a loyal subscriber, please pass this info along to your other sewing friends. Every party is better with more people so spread the word! Subscribe to Sewing It Up and receive your first issue within the next few days. Hey, you can even attend this “party” in your sweats, while sitting on the couch, eating pistachio frozen yogurt – now that’s the best of both worlds. Did you know that you can celebrate Christmas all year long with a little help from your friends at AllFreeChristmasCrafts? Every Tuesday and Saturday, you can receive Christmas craft tutorials for everything from ornaments to wreaths. Best of all, it’s free to subscribe to our newsletter, Crafty Christmas Ideas! Are you intrigued yet? Well, let me tell you a little more! In upcoming issues, we’re featuring other editors and their favorite Christmas craft tutorials! We’ll also show off some of our top Pinterest picks and give you a first look at a new YouTube tutorial. Some tutorials you can expect to see include Christmas entertaining crafts, recycle projects and holiday decor ideas. Make your own snowflakes and Christmas angels – just because it’s warm out doesn’t mean you can’t celebrate winter all year long! One of our latest and greatest projects is the Cork Reindeer Ornament. This project features a full project tutorial and a YouTube video that walks you through the process. If you subscribe today, you’ll see this amazing ornament tutorial and so many more in one spot! Every issue features new, fun and exciting craft tutorials. Recently, we’ve featured everything from crochet Christmas throws to tabletop trees. 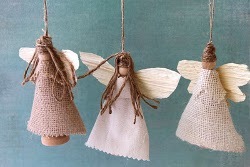 One popular topic is eco-friendly crafts – who knew you could make so many cool Christmas crafts out of recyclable materials? 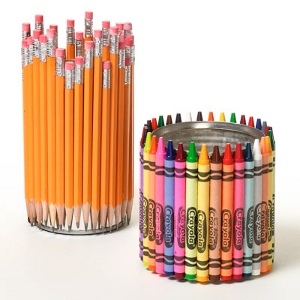 This newsletter is also a great resource for budget-friendly craft ideas. 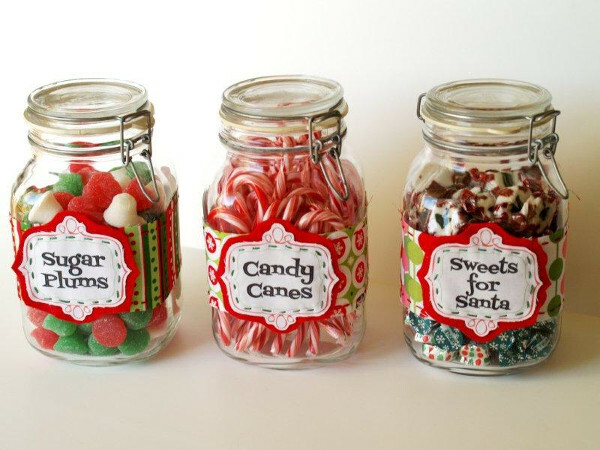 Go ahead and embrace your inner cheapskate – Crafty Christmas Ideas is filled with dollar store crafts! In addition to fun tutorials, Crafty Christmas Ideas, includes weekly Facebook, Twitter and Pinterest features. There are even opportunities to help name a Christmas craft, guess a mystery project and more. Like free stuff? We always provide a first look of our latest giveaways and eBooks. You won’t know what we’re featuring if you aren’t signed up, so don’t miss out! 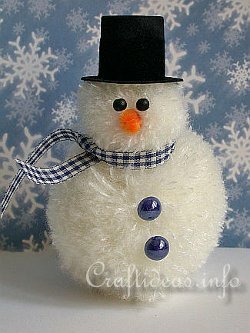 By subscribing to Crafty Christmas Ideas, you’ll get the inside scoop on what’s happening on AllFreeChristmasCrafts. We’re like Santa’s workshop – we’re open 24/7, all year long and celebrating the best aspects of the Christmas season! Who doesn’t need a little Christmas cheer in their lives? Subscribe today and feel the Christmas spirit twice every single week! What is your favorite Christmas craft to make? Get Free Quilt Patterns in Your Inbox Twice a Week! If you want to build your quilting skills, get new ideas to inspire your quilting, and make beautiful projects, FaveQuilts.com is the place to start. There are thousands of quilting tutorials and patterns scattered all over the Internet, and even more traditional quilt patterns that have been around for hundreds of years. 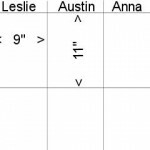 FaveQuilts.com brings all that knowledge together in one place, so you can find any quilt pattern you need on one website. FaveQuilts.com also sends out two Piecing It Together eNewsletters each week, so you can get a collection of specially selected quilt patterns in your inbox every few days. We send collections of block patterns, scrap quilt patterns, and baby quilt patterns, in addition to quilt patterns for every holiday and season. You’ll get fresh ideas for new quilt projects every week. We also include news about our weekly quilting giveaways, popular quilt patterns on Pinterest, and the newest quilting videos posted on the FaveQuilts YouTube channel. Subscribe today so you won’t miss another issue of Piecing It Together! If you subscribe to Piecing It Together today, you’ll get the tutorial for this DIY T-Shirt Quilt in your inbox next week! Next week’s Piecing It Together issues will feature an armful of T-shirt quilt tutorials for eco-friendly quilters (or those of us who just want a creative way to clean out our closets!) and a slew of crazy quilt patterns that put a modern spin on the Victorian crazy quilting trend. You’ll get more than 30 ideas for new quilt projects just in these two newsletters and many more in the weeks to come! Get patterns for summer quilting projects, rag quilts, quilted bags, and more when you sign up for Piecing It Together for free! You can also check the other newsletters from our family of crafting and cooking newsletters. Sign up for newsletters featuring free recipes, tutorials, and patterns for all of your crafting and cooking passions today! What kinds of quilt projects would you like to see in upcoming Piecing It Together newsletters? Get DIY Jewelry Inspiration Delivered to You! DIY jewelry is booming on craft blogs these days. There are so many creative, fashion-forward jewelry projects out there and infinite jewelry making inspiration! But sometimes tracking it down can be tricky. Who has time to scour through endless blog archives looking for fun new DIY jewelry projects to make? That’s where we come in! At AllFreeBeadedJewelry, we make creating your own unique jewelry easy by bringing the projects right to you! 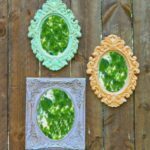 We make it our mission to bring you fun, fabulous new DIY jewelry projects each and every week, so you have the tutorials right at your fingertips when inspiration strikes. What could be more convenient than that? 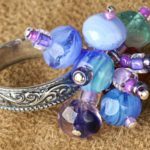 All you have to do is sign up for our free eNewsletter to begin receiving the best jewelry making tutorials from around the Web right to your inbox. It’s really that simple! Here’s one of the projects being featured in this newsletter. We’ve all seen these necklaces in stores. This tutorial will show you a super easy way to make your own for less! Simply subscribe to the free newsletter, and you’ll receive this and 16 other free project ideas to inspire you to start creating! Plus, by subscribing to the AllFreeBeadedJewelry newsletter, you’ll have access to fun features not available to non-subscribers! 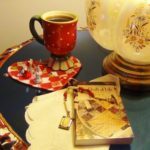 Receive the latest information on new giveaways and contests, free eBooks, Pinterest project picks, Twitter parties, what’s happening on Facebook, “Bead Battles,” mystery projects, and more! So what are you waiting for? Stop by and sign up for our free jewelry making newsletter and begin receiving free jewelry making projects right to your inbox! Tell us, what kinds of projects would you love to see featured in a jewelry making newsletter? Last year we hosted a little competition for bloggers. We asked anyone who has a blog to link to FaveCrafts.com somewhere on their blog–you could write a post about us or add us to your blogroll–and then let us know you’d done so by sending us a link to your blog post or home page. One lucky blogger was selected to get featured in a newsletter, which was seen by thousands of crafters! Put a link somewhere on your blog that goes to any page on FaveCrafts. You can write a post about us, link to one of our projects, add us to your blogroll, or whatever you’d like. Let us know you linked to us by entering your link below (if you’re adding us to your sidebar or blogroll, link to your homepage. If you write a post about us, link to that specific post). You have until February 29, 2012 to get your links in. Subscribe to our newsletter if you’re not already, and check out our Saturday, March 3rd issue to see who was chosen!